Please note that the artwork on this website is NOT FOR SALE. For reputable gallery and sales information, please contact Diana Vachier at: 516-509-4676.
and Gallery of Steve Kaufman "SAK"
What is it about Steve Kaufman that makes him so special that they are making a movie about him???? EVERYTHING!!!! Steve Alan Kaufman (Dec 29, 1960 - Feb 12, 2010) was a true great American pop artist and former assistant to Andy Warhol, who gave Steve Kaufman the nickname "SAK" using the initials of Steve's name. Steve Kaufman in his day-to-day life embodied and delivered the true American pop art experience. He painted iconic people, historical figures, and products significant in our daily lives. He was an artistic journalist who commented on both history and current events with his art. Steve Kaufman advanced the use of the silkscreen process, and was most widely recognized for his use of vivid colors and hand embellishment. Steve was very prolific -- he would paint on just about anything! Steve Kaufman had as big of a heart as he stood towering in height. He was an activist and a generous humanitarian. In all, Steve Kaufman aided more than 1,500 charities during his lifetime. We are heartbroken that Steve Kaufman passed away at the young age of 49. His memory, as well as his paintings, have made history and will continue to be cherished and valued for generations to come. 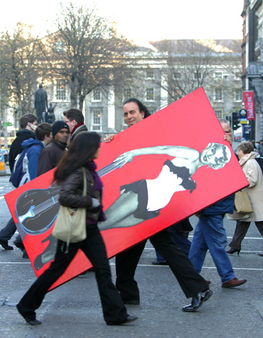 This website aspires to encourage and support a broader understanding of the art of Steve Alan Kaufman (1960-2010), and intends to carry forward his interests and legacy to subsequent generations of art audiences and the general public. Thank you for your patience as we continue reconstruction of Steve Kaufman's gallery pages and original web content. We invite you to browse his online gallery and collections of art, sculpture, and creativity, and learn the life stories that made Steve Kaufman both lovable and legendary. 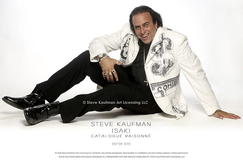 STEVE KAUFMAN (SAK) CATALOGUE RAISONNÉ® and its art registry, authentication, appraisal and valuation of Steve Kaufman art is a Registered Trademark (TM) and Service Mark (SM) of Steve Kaufman Art Licensing LLC. The STEVE KAUFMAN (SAK) CATALOGUE RAISONNÉ® will illustrate every confirmed work and publish all known paintings, sculpture, commissions, and other artwork by Steve Kaufman—from his earliest works to his final works in early 2010. Art purchases will have a Steve Kaufman Certificate of Authenticity (COA), and will be issued a catalogue number upon entry into the official raisonné. This guarantees your painting is indeed an authorized, unaltered Steve Kaufman painting. The STEVE KAUFMAN (SAK) CATALOGUE RAISONNÉ® will be used by art appraisers, auction houses, collectors and art historians to study the work, and is the only official, trusted accounting of Steve Kaufman’s art.